1) Chanel N° 5 Bottle - I don't much like the way Chanel N° 5 smells. However, it is a historical and iconic fragrance. I happened on an empty bottle at an antique store, and the emptiness suits me just fine. 2) Pink Macaroon Case - A little trinket I have around, this little macaroon opens up like a box. In all the time I've had it, however, I still haven't found the right thing to put inside. 3) Green Tights - I wanted a pair of plain green (versus light green or neon green or dark green or olive green) tights last year; I saw the right shade at Anthropologie, but they were gone when I went to get them. They turned up again this year, so here they are. 5) Rose Soap - I'm taking a break from local soap with this floral one from Santa Fe. The company specializes more in lavender. The rose scent is a little more perfumy than I like, but it's still nice and the soap is good quality. 6) Trader Joe's Harvest Blend Herbal Tea - For a low price, this tea smells like fall and the holidays. It has cinnamon, ginger, hibiscus, chamomile, chicory, orange peel, and apple. And it has a cute fox on the front. 7) Brown Boots - You know, I've never really had a tall pair of boots. This is surprising considering how popular they are. 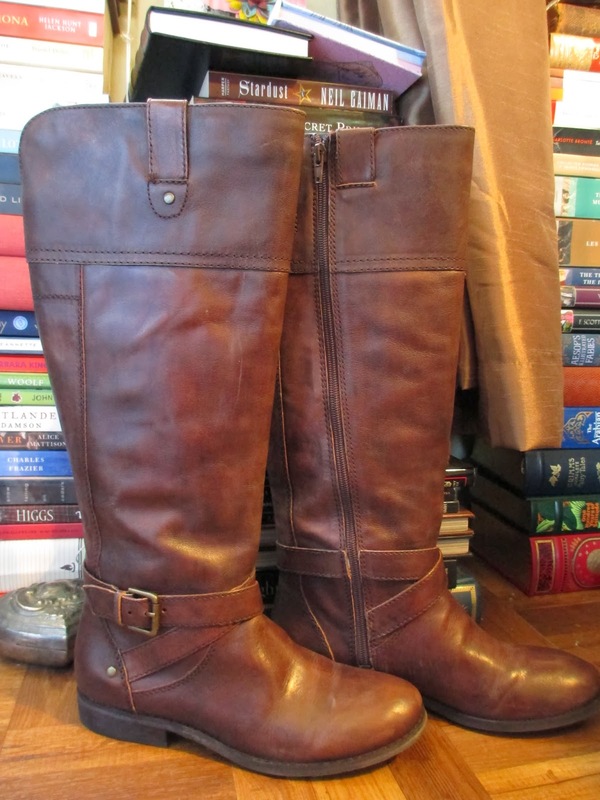 This season, however, I finally picked out a good quality, comfortable pair in a versatile style and color. Whether with pants or a dress, they have the right look. 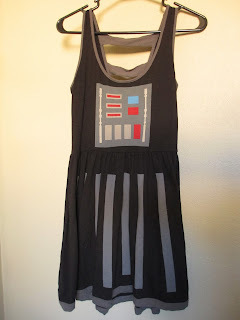 8) Darth Vader Dress - Hee; hee. Hee; hee. This is the part where you either roll your eyes or get excited. Or possibly both. Given that I knew I'd be at a Halloween-type event but not a costume one, I decided to give in and get this Her Universe dress from thinkgeek.com. It isn't quite a costume, and depending on how you wear it, can look more or less like regular clothing. You can't tell from the picture, but the skirt is A-line. 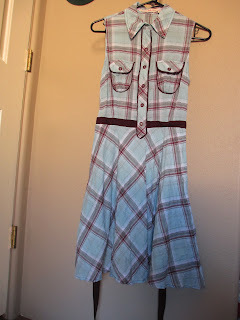 9) Plaid Dress - Sometimes you see a piece of clothing that you really like, but it's more than you want to spend. That's how it was with this dress. Then I just happened to be at Dillard's when they had an extra sale on reduced merchandise, so this dress came out at an incredibly low price. 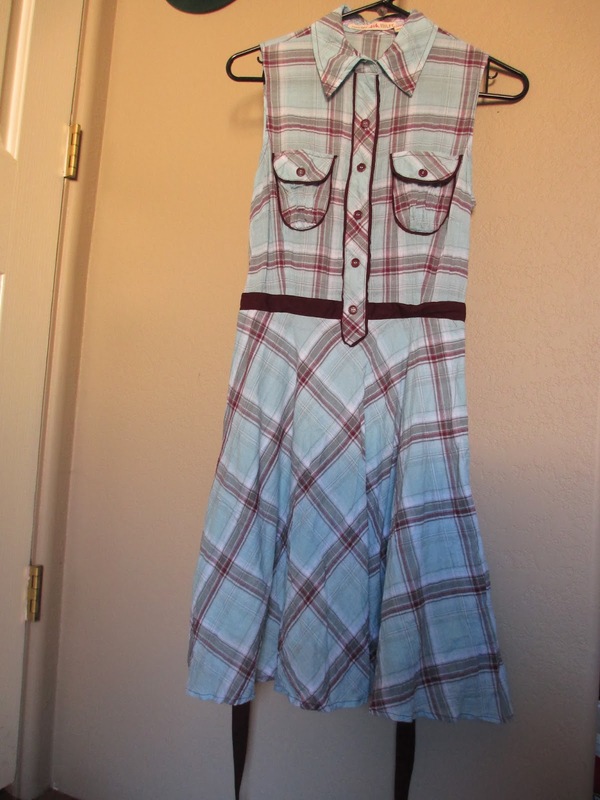 I call it my country librarian dress. 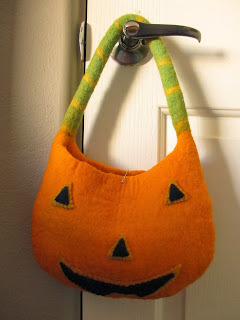 10) Felt Pumpkin Purse - Almost all the time this month, I have been using my pumpkin purse. It isn't the most convenient purse, but it's fun to have around. Happy Halloween.